HomeBlogA tremendous loss. A new breast cancer breakthrough in her memory. A tremendous loss. A new breast cancer breakthrough in her memory. To honor his late mother, BCRF researcher Dr. Joshua LaBaer is creating a revolutionary blood test in her memory. When Joshua LaBaer learned his mother had breast cancer, it was with a phone call. As a medical oncologist he was familiar with being on the other end of the line, telling a patient his or her diagnosis. This time the tables were turned. “It's very scary when you know what the disease can do and when someone you love is afflicted with it,” he said. Her diagnosis at age 62 came after a full life of being a middle school teacher. “She had a lot of heart,” LaBaer said. At the time LaBaer was living in Boston and his mother was in California. Not only did he have to grapple with the idea of being across the country during this difficult time, but his profession acted as a double-edged sword. Soon after her diagnosis he found a clinical trial for his mother to enroll in. While the protocol appeared to have worked, a year and a half in the disease spread to her brain. Several months later she died. LaBaer had already been investigating breast cancer at the time. However, after losing his mother to the disease, his passion for the field amplified. Today he is known as one of the nation's foremost investigators in the rapidly expanding field of personalized medicine. 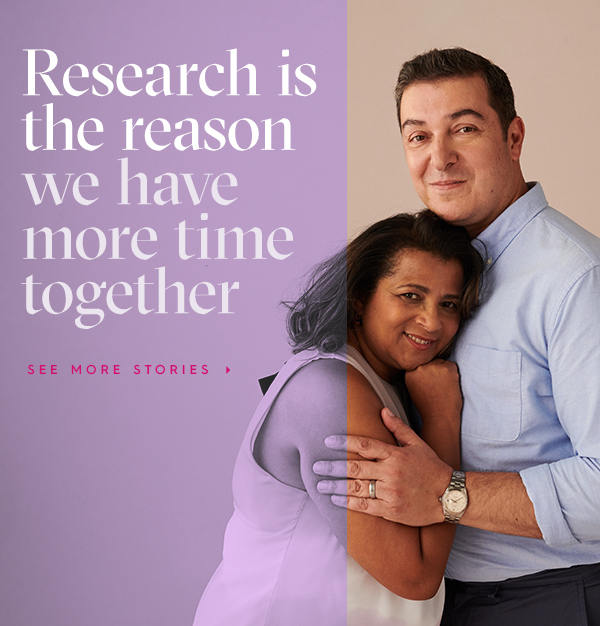 “As a researcher, the experience of losing someone you love to cancer teaches you the importance of finding new and better ways to manage this disease,” LaBaer said. That’s precisely what his BCRF-funded work entails. A BCRF investigator since 2001 and Play for P.I.N.K. award recepient, LaBaer and his team are pursuing one of his most ambitious ideas: to create a blood test that can diagnose breast cancer. To do so, they have collected over 13,000 human genes to better understand the antibodies the human body creates when facing cancer. These antibodies are programmed to combat the cancer, similar to how our bodies fight infection. However, while we know the antibodies exist, there isn’t a way to identify them. LaBaer seeks to solve this problem. His lab has developed a new technology that screens for these proteins and identifies which antibodies can detect cancer. It’s a project that’s taken over ten years. The process has been far from easy, but LaBaer says BCRF’s funding has been crucial in making his idea a reality. “Research is mostly tough days. If you don't fail 80 percent of the time you're probably not doing it right,” LaBaer said. However, he says, the challenges are worth it.